Biofreeze Pain Relieving Roll On, 3-Ounce (Pack of 3) Just $24.09! You are here: Home / Great Deals / Amazon Deals / Biofreeze Pain Relieving Roll On, 3-Ounce (Pack of 3) Just $24.09! Head over to Amazon and order the highly rated Biofreeze Pain Relieving Roll On, 3-Ounce (Pack of 3) for Just $24.09! 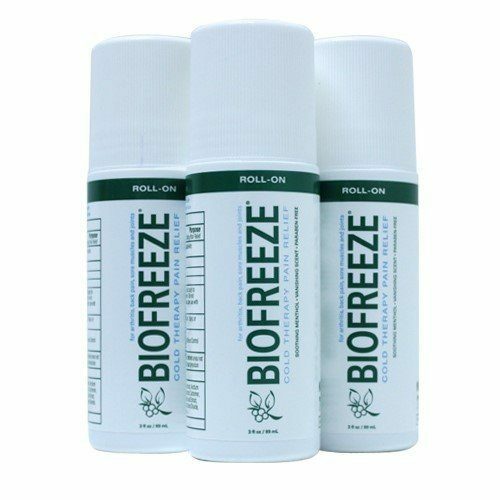 Biofreeze pain reliever’s unique, cooling formulation is also comforting to sore muscles and muscle sprains; easing back, shoulder and neck pain; reducing painful ankle, knee, hip and elbow joints and helping to lessen effects of muscular strains!